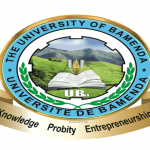 University of Buea Application Procedure Online Admission. The Vice-Chancellor informs the public that applications for admissions into undergraduate degree programmes for the Faculties of Arts, Education, Science, and Social and Management Sciences for the 2018-2019 academic year have been launched. Get onto the University website at www.ubuea.cm for more details. The closing date for the submission of applications is 15 September 2018. (Fill and submit the online application form). Admission details for the Faculties of Engineering and Technology, Agriculture and Veterinary Medicine, Health Sciences, Higher Technical Teachers’ Training College, Advanced School of Translators and Interpreters (ASTI), and College of Technology will be published later in accordance with their specific requirements and in conformity with the regulations of the Ministry of Higher Education (MINESUP). 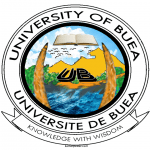 University of Buea Application Procedure Online Admission. Start by Going to the University of Buea Website at www.ubuea.cm and follow the steps as indicated.